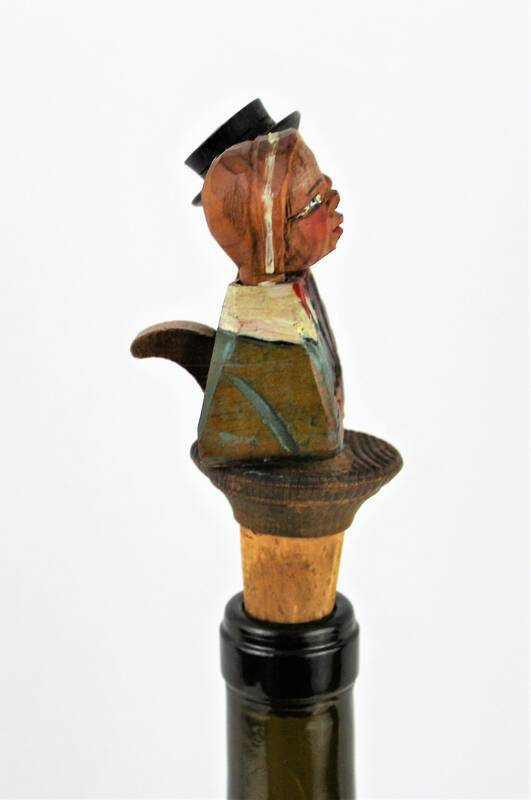 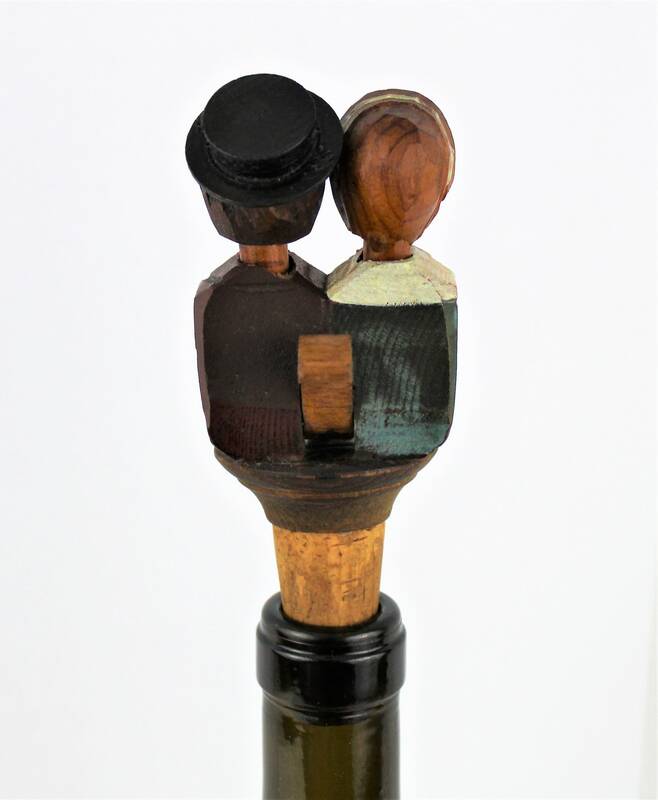 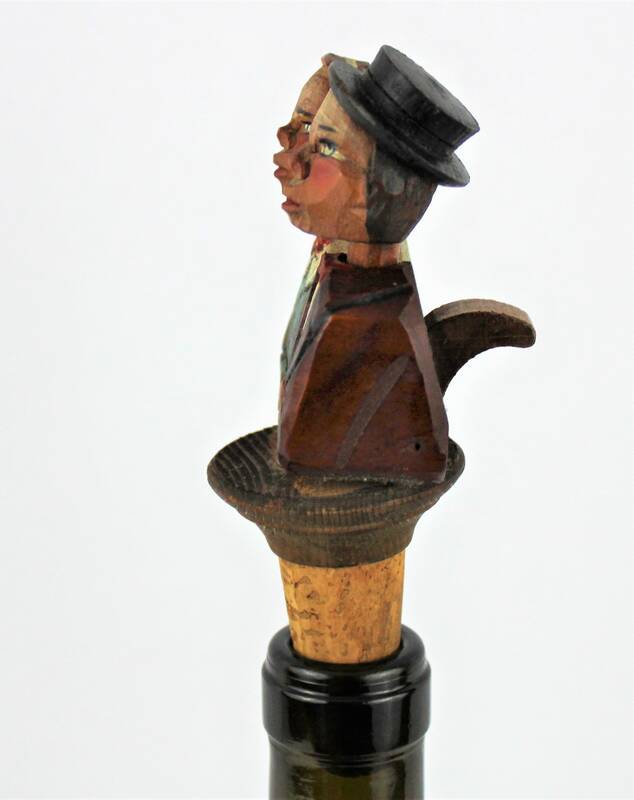 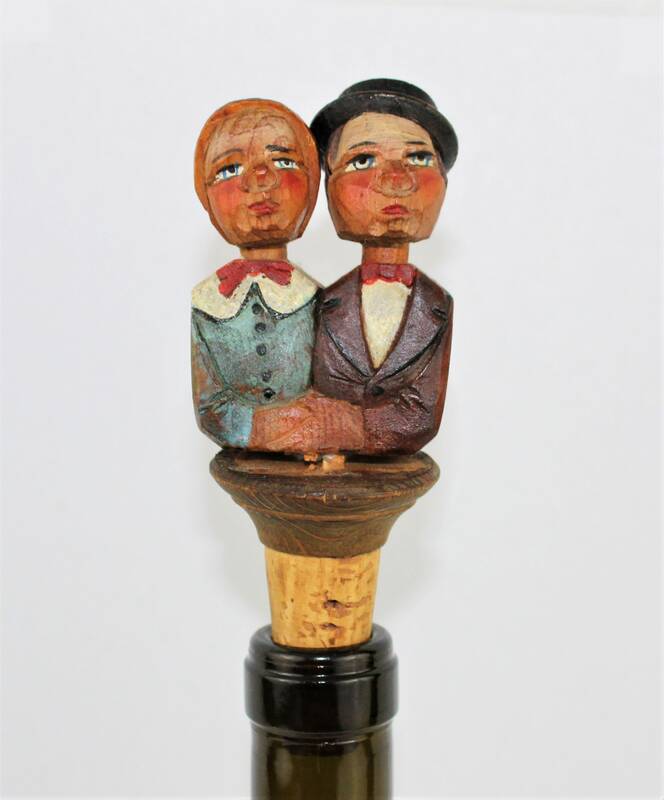 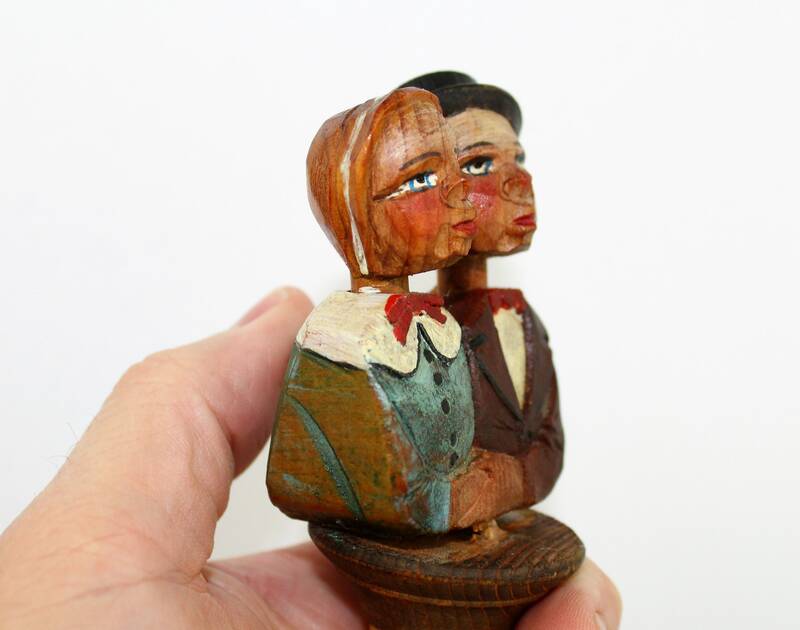 We have for sale a Vintage ANRI Hand Carved Wooden Bottle Stopper, The Kissing Couple. 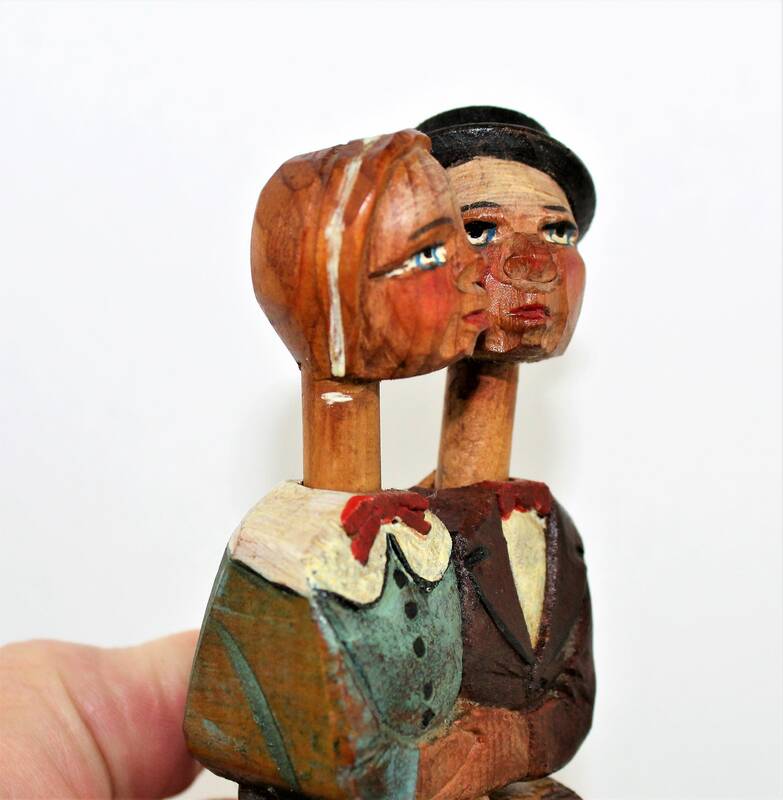 Wonderful Mechanical hand carved and painted by ANRI of Italy. 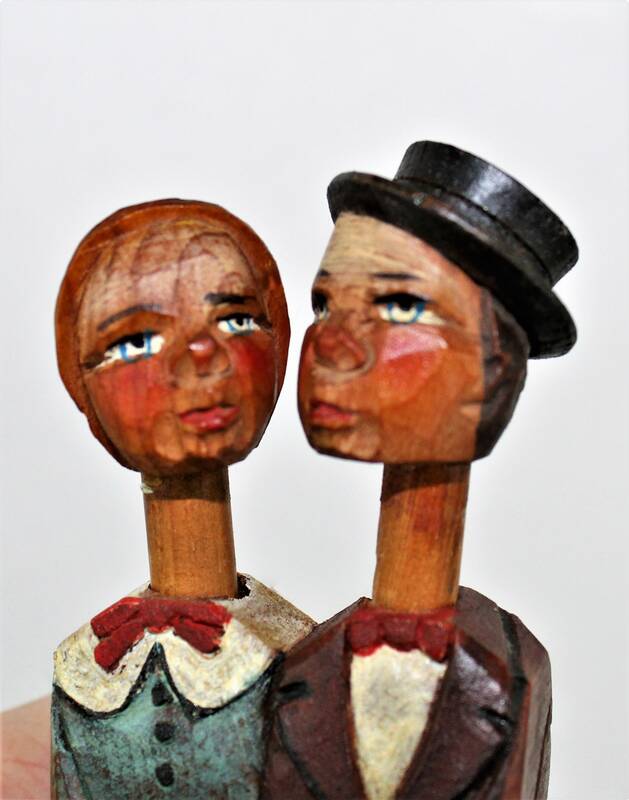 There is a wooden lever on the backside of the couple when pulled down the couple’s heads raise and turn toward each other as to kiss. 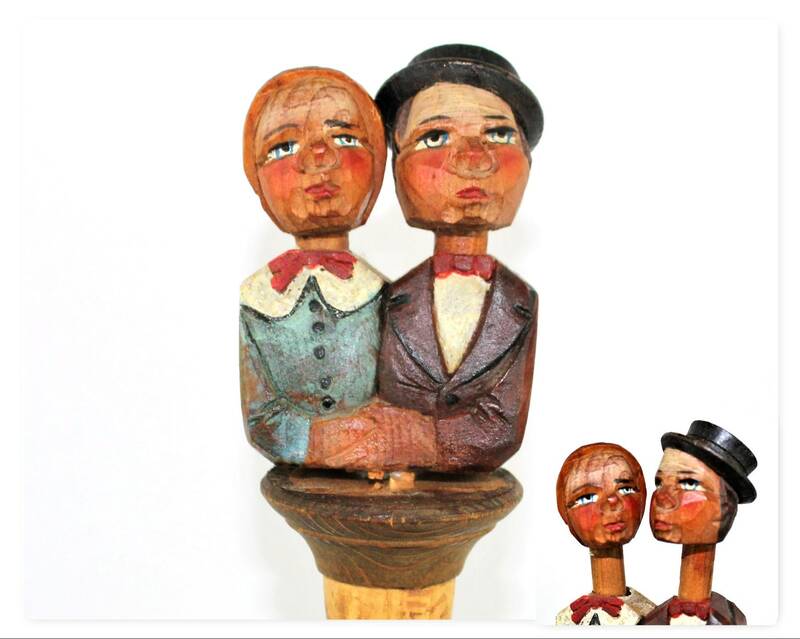 These were made over several years but no two are alike.